Dr. Yogesh Suri is a development economist and policy analyst. 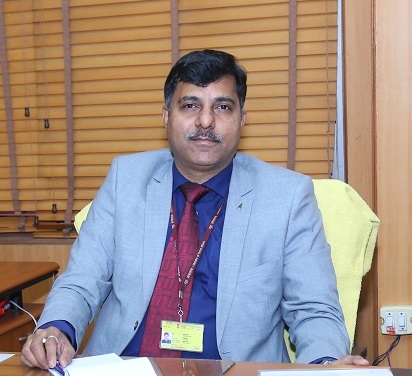 He is currently Director General, NILERD and Senior Adviser, NITI Aayog, Government of India where he is in charge of Governance & Research, Water and Land Resources Verticals. He is also associated with the Prime Minister’s Economic Advisory Council. Earlier also, he held additional charge as Director General of NILERD during the period October 2014 to June 2017. Dr. Suri has diverse experience of over 25 years ranging from planning & development, food security, consumer affairs, fertilizers & chemicals, water, land reforms, macro-economic research to empowering small & medium enterprises, banking, financial markets, risk management, etc. An alumnus of Hindu College, University of Delhi, Dr. Suri holds a Masters’ Degree in Business Economics (MBE) from Delhi University and Ph.D from the University of Rajasthan.